Now you can spray antifreeze on your plants! For decades, motorists have been topping up their cars’ antifreeze before winter – and now gardeners could be doing the same for their plants. 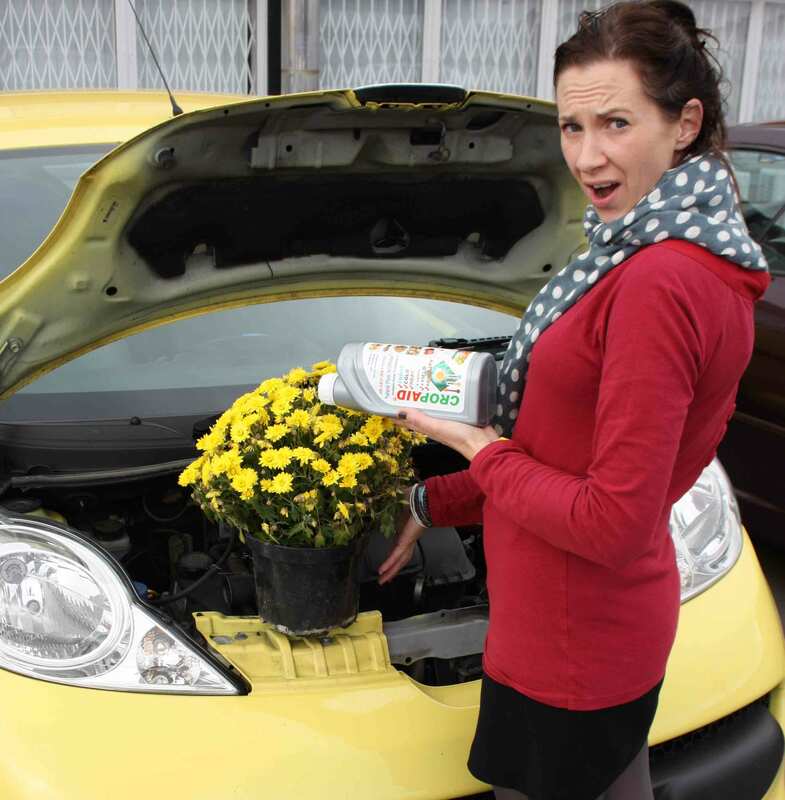 AG’s garden writer Michelle Wheeler has put antifreeze in her car before – but has never sprayed it on to plants in winter! The first plant antifreeze could be on sale as early as this autumn. Just like the stuff that goes into a car’s radiator, the garden equivalent claims to increase plants’ resistance to cold, frost and heat. The product is being launched after last winter, the coldest in 30 years, wiped out millions of pounds worth of garden plants across the UK. Maker Cropaid said its antifreeze is a natural product containing minerals, proteins and enzymes. It has not yet been approved as organic, nor has it been accredited by the Soil Association. “This is a biological and ecological product and does not have any chemicals in it,” said Cropaid general manager Raquel Tanseli. Raquel explained that “in an ideal world” it should be sprayed onto plants a couple of days before frost and cold weather is forecast. Similar plant antifreezes are used by commercial growers. Cropaid claims it increases the resistance of greenhouse plants, such as tomatoes, peppers, aubergine and carnations to cold and freezing. AG has not tested the product, but Cropaid said its antifreeze helps plants yield more flowers and crops, while intensifying the colour and taste of fruit and vegetables. It is also said to increase resistance of plants that are susceptible to cold-harm in early spring, such as apple, peach, plum and cherry. 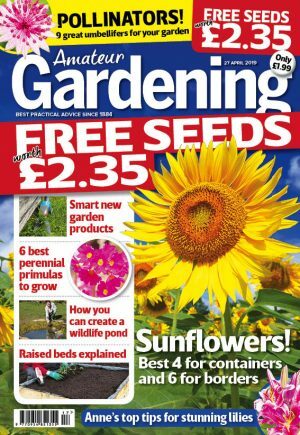 The product may start to be stocked by UK garden centres and DIY stores this autumn.